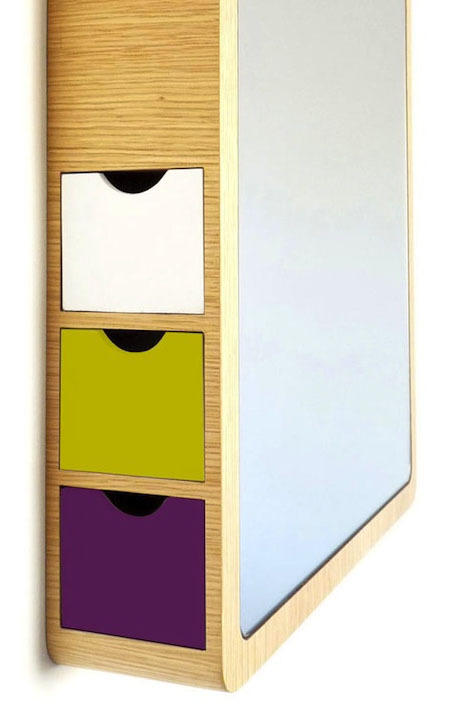 Maybe you already have a medicine cabinet or sufficient under-sink cupboard space for everyday essentials. 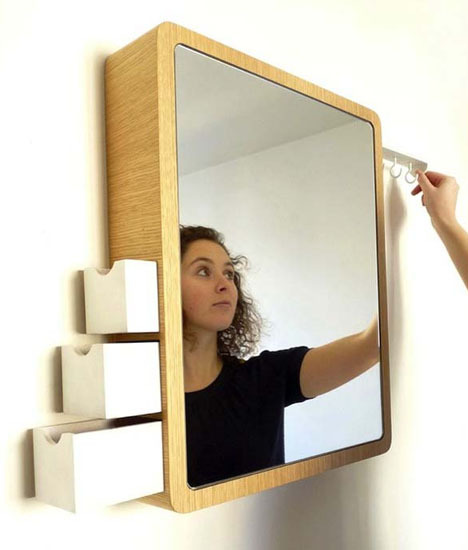 If your mirror is free to be something else, like a built-in jewelry box, this product may have something to offer. This is about favorite necklaces you may suspend from a hidden rack, rings you want to keep safely out of the way in side drawers. Intentionally indirect, though not exactly secret, these become accessible only with greater intention than simply opening a front door. 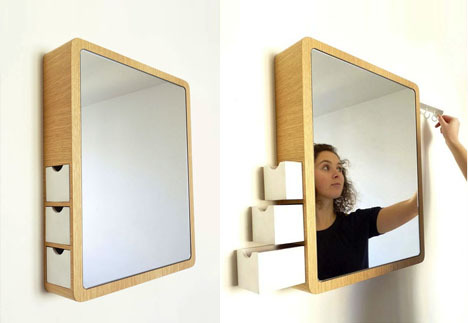 Céline Merhand and Anaïs Morel of Les M Design Studio: “the mirror unfolds to reveal a colorful system for the organization of jewelry and fashion accessories. 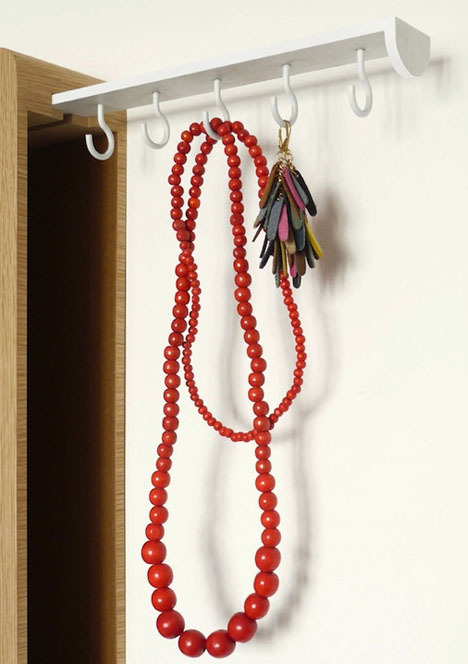 “Precious” offers a pull-out bar with hooks to neatly hang necklaces and earrings.